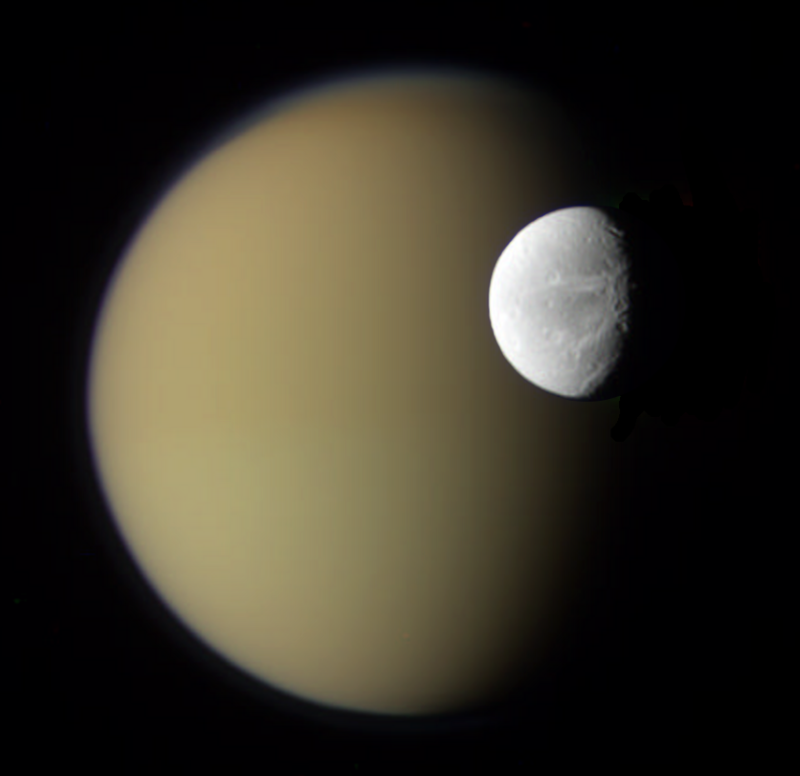 A big thanks to Bob Nemiroff, editor of NASA's Astronomy Picture of the Day website, for picking my composition of a set of Cassini photos of Dione and Titan for today's offering. As far as I can tell from a Google search of the APOD website, this is my third APOD selection. The previous two were also from Cassini images: an animation showing Cassini's changing view of Saturn's rings as the spacecraft crossed the ring plane (which, really, Gordan Ugarkovic produced; I just annotated it), and my version of the astounding Enceladus plumes mosaic. Thanks so much to the Cassini team for sharing the raw images, and to Bob for showcasing them!